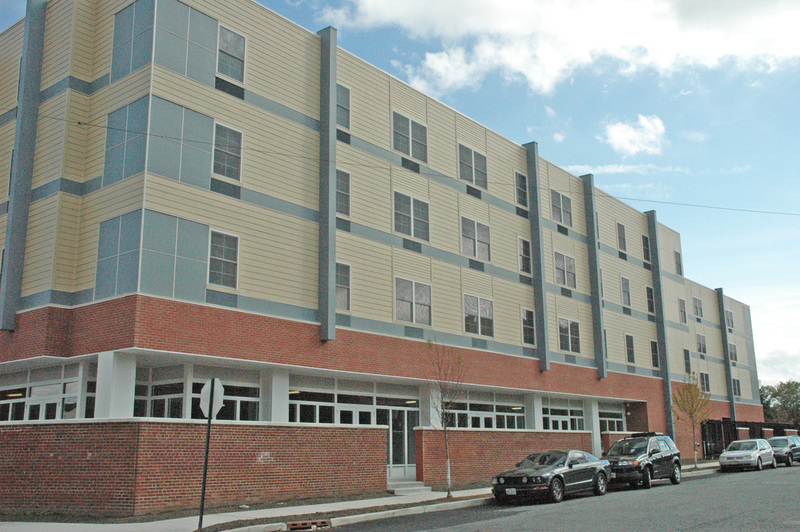 This affordable housing project at Eva's Village brings the mission full circle, by providing multidisciplinary services that help the homeless and poverty stricken achieve self-sufficiency and permanent housing. 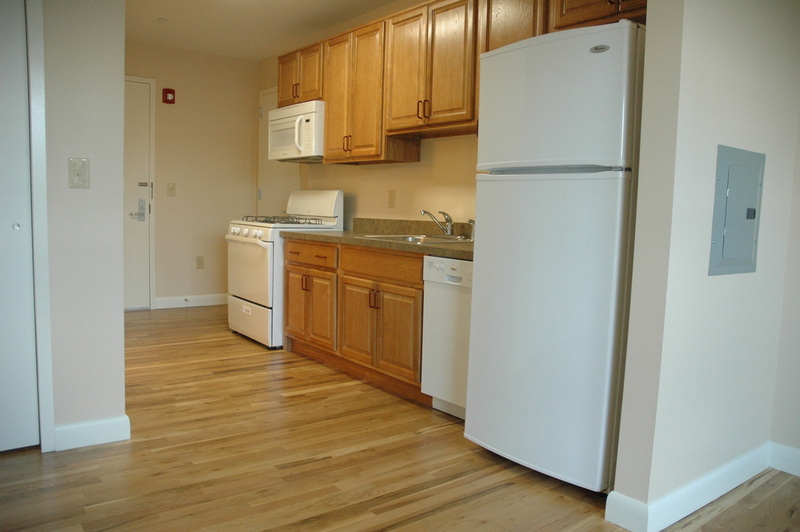 Eva's Village Apartments include efficiencies, one, two and three bedroom units. The apartments provide a well-designed building to this Paterson neighborhood and are energy efficient (EnergyStar rated windows and appliances were used where possible) and well maintained. Paterson residents who meet income levels are eligible to apply. "My son and I are blessed to be able to live in this safe and beautiful apartment - it's a dream come true that I never thought would be possible for us," commented one of Eva's former clients who is now a proud resident at Eva's Village Apartments. Another new resident of Eva's Village Apartments said, "I'm 51 years old and this is the first time I have ever had my own home". 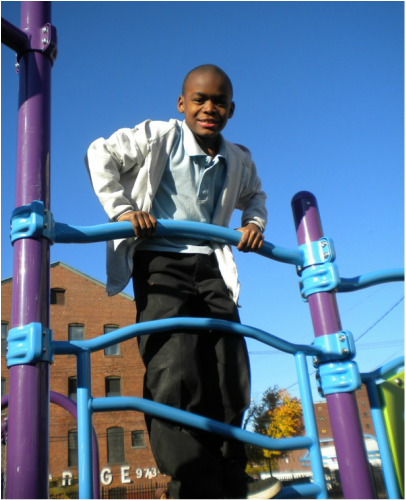 An extensive new playground was also created at this location as a joint venture with ﻿KaBOOM﻿! and Kraft Foods and with the cooperation of the City of Paterson. The playground adds to the quality of life for the residents of Eva’s Village Apartments as well as the surrounding neighborhood. The kids at Eva’s Village Hope Residence poured their ideas for a dream playground out onto paper at the start of August, and on October 6, 2011, approximately 250 volunteers showed up to build that dream and transform it into reality. The project took about six hours to complete. Materials included 172 cubic yards of mulch and nearly 10 tons of concrete. The resources were donated by Kraft Foods as part of their Delicious Difference Week of community service, the project was organized by the national nonprofit play-advocacy group KaBOOM!, and the pieces were assembled by volunteers from Kraft Foods as well as the Paterson-area community. * From 2009-2013 (US Census Data estimate), more than 29% of its residents lived below the poverty line. The city’s median household income is $32,707. Compared to the state of New Jersey ($71,629), Paterson households earn nearly $38,922 less than their fellow citizens. In December 2014, the unemployment rate was 5.6% nationally, 6.2% in New Jersey and 6.9% in Passaic County, where Paterson is located. The unemployment rate in Paterson is consistently 3-4% higher than the New Jersey rate.